Real estate has historically proven itself as one of the best long-term investments, but what are the best ways for seniors to invest in real estate? It depends on your appetite for risk, how much time and attention you have available, and your goals. You’ve probably seen the flipping shows on HGTV. You’re probably smart enough to know that’s not as easy as it looks. You probably know people invested in Real Estate Investment Trusts (REITs), real estate related stocks, and rental properties. Maybe you’ve seen the downside of real estate investing in the films “The Big Short” or “The Money Pit.” Maybe you’ve even seen real estate disasters play out with family and friends in real life. Investors in hard money loans make 10-12% interest on hard money investments –without the stress of watching stocks, working with contractors, the hassle of construction, or the inconvenience of tenants. If things are going as planned, hard money lenders simply collect interest. Hard money lenders don’t offer a complex tranche of uncertain mortgages, CMOs or MBSs or CDOs or whatever financial acronyms and derivatives are allowed in 2016 and beyond. They offer specific, first-lien-secured, low low-to-value, short to medium term loans (1 to 5 years), that are made to real estate investors only. These are flip properties and new spec homes – all investment properties, not homesteads. You can participate in real estate mortgage loans in your area or you can choose a real estate market you like. The best part? Hard money loans have 30% or more equity in the property. If it’s worth $200,000 the maximum loan is only $140,000. When you lend your money for a hard money loan, it’s typically secured by real estate at 70% or less loan to value. If the property is worth $500,000 then the maximum loan against it would be $350,000. If the borrower doesn’t pay, the lender can foreclose and receive full payoff or acquire the property. Some hard money lenders operate as an investment fund, others ask you to invest in an individual loan. Funds are more likely to offer longer terms with more regularity, but at a lower return, often 9% or even less. The minimum investment is typically lower if you invest in a fund, and it could be as low as $500. Lenders offering individual loans will offer higher returns, typically 10% to 12%, but shorter commitments, sometimes as short as 4 months. They will also have a higher minimum investment. You may be required to invest $50,000 or $100,000 to start investing directly in individual loans. Private loans – directly lending money to a real estate investor – will offer the highest return, but you’ll need to be confident evaluating real estate projects and people. If you’re a retired broker and/or have been an active real estate investor in the past, this could be the best place for your real estate investment energy. Keep in mind that you’ll need the resources to service the loan unless you want to hire a loan servicing company. 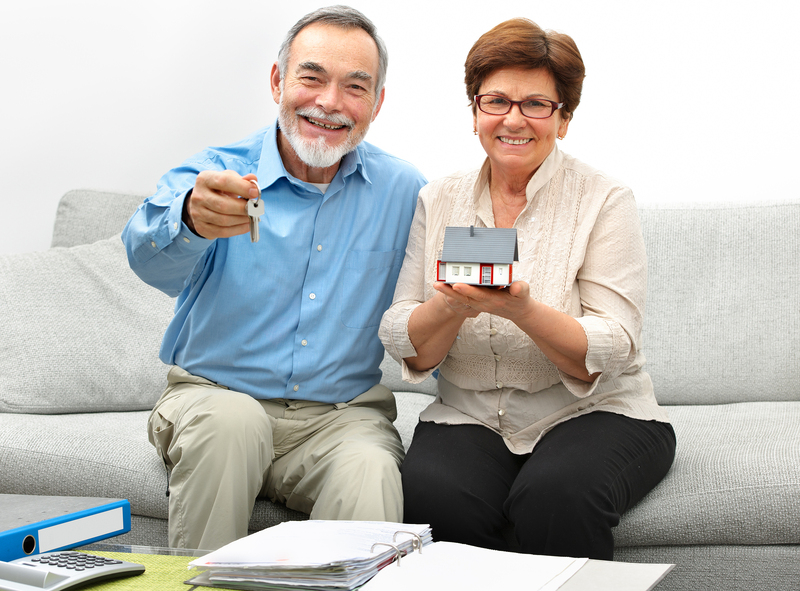 It’s important for seniors to balance their real estate investments with goals and timeframes. If you’re an experienced homebuilder with time, energy, and money, spec houses might be the best real estate investment for you. Alternatively, if you’re more interested in spending your days doing something that’s not related to real estate, hard money lending could be a good option for you. If you have some funds you’d like to make more on, but you don’t want the stress of building, remodeling or renting, then hard money lending with a competent hard money lender could be a fit for your investment funds.